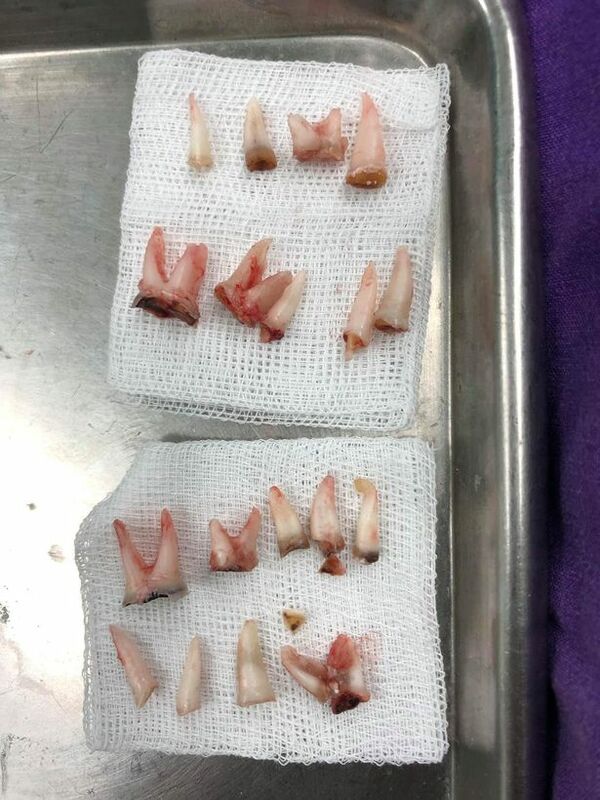 A four-year-old boy's teeth were so rotten a dentist had to remove 18 of them. Nong Kaa was admitted to a dental surgery in Phuket, southern Thailand, on April 9 with piercing toothaches. Shocked nurses noticed the state of his teeth and immediately took him in for emergency treatment - an hour long procedure which involved 14 anaesthetic injections and 18 extractions. 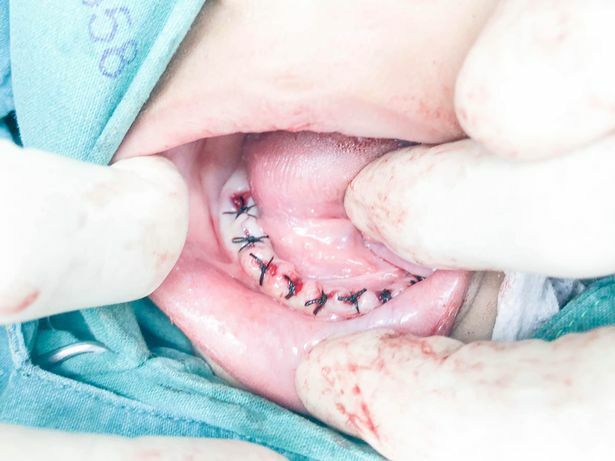 Shocking pictures show how he now has only gums and two teeth left in his mouth with stitches to stop bleeding from where the teeth were pulled out. The boy's mother, Supatra Tumklin, blamed soy milk for the state of Nong's teeth - and said she had "given up" cleaning them. She said: "I'm very inexperienced in raising a child. He once had stomach flu when he was aged one and the doctor told me to give him soy milk instead. "So, I did and continued to feed him drink with a milk bottle. "After changing the milk type, I saw that his teeth were having more and more yellow stains. I tried to wipe it off but he didn't let me." The mother reportedly gave up cleaning the child's teeth because brushing caused bleeding. She also believed that the decay would be harmless because the teeth would be replaced by adult molars. Supatra added: "I thought that it would be fine because the permanent teeth would replace them anyway. "But I realised that I was very wrong when I saw all of his teeth were almost gone." Dentist Sathian Suravisankul warned parents to ensure they take proper care of their children's teeth as even rotten teeth could lead to gum infections and permanent damage. He said: "The reason why I decided to remove the boy's 18 teeth was because he had a constant toothache all over his mouth. "There is no other way to cure the pain except to take out all the decays." Sathian added: "I would like to tell all the parents out there to take care of your child's baby teeth because they are as important as our permanent teeth. "Not only they are crucial for chewing, they also help develop the physical, emotional, and IQ of the child."